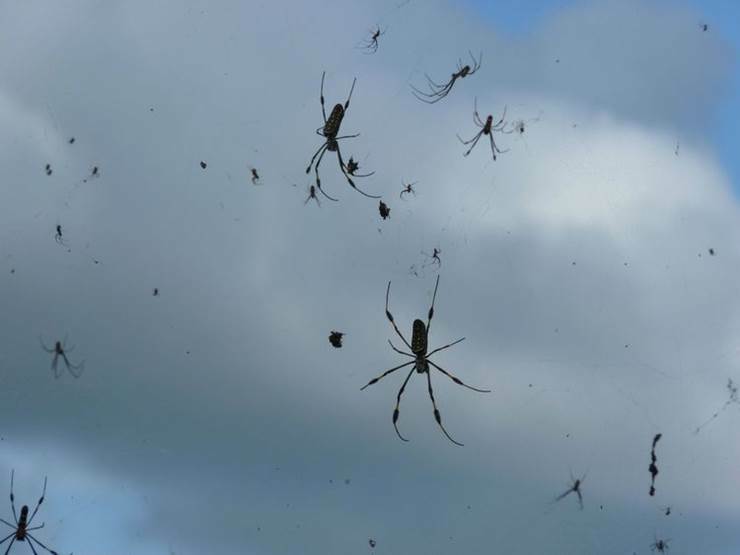 Ballooning is a not-uncommon behavior of many spiders, that sounds positively frightful, but experts say that spider rains are actually a natural phenomenon, and not as uncommon as you'd think. 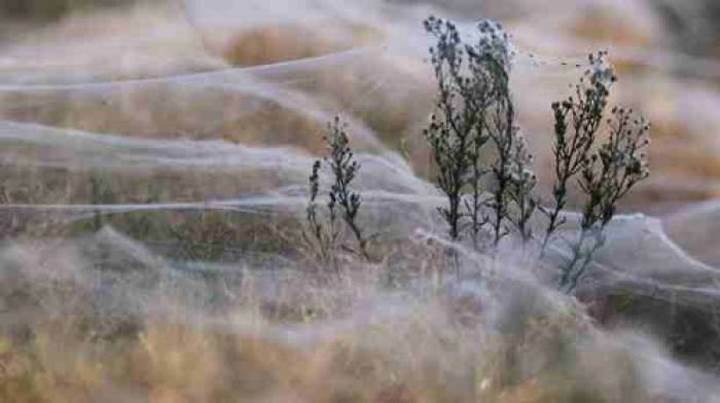 It is referred to as 'spider rain' or 'angel hair' in scientific circles, and is actually a form of spider transportation. It's understandable that we never notice spiders ballooning, because they're not always doing it at the same time and in the same place. 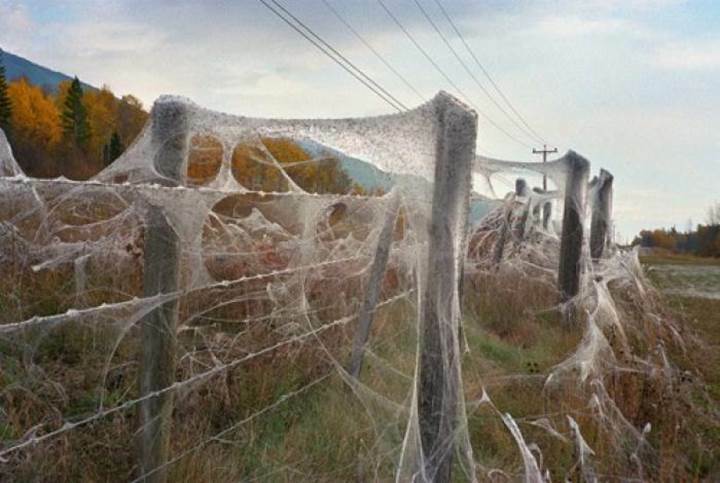 Earlier this month, the residents of Goulburn - a small town in Australia's Southern Tablelands - were spooked to discover their properties blanketed by millions of tiny spiders and mounds of their silky threads. 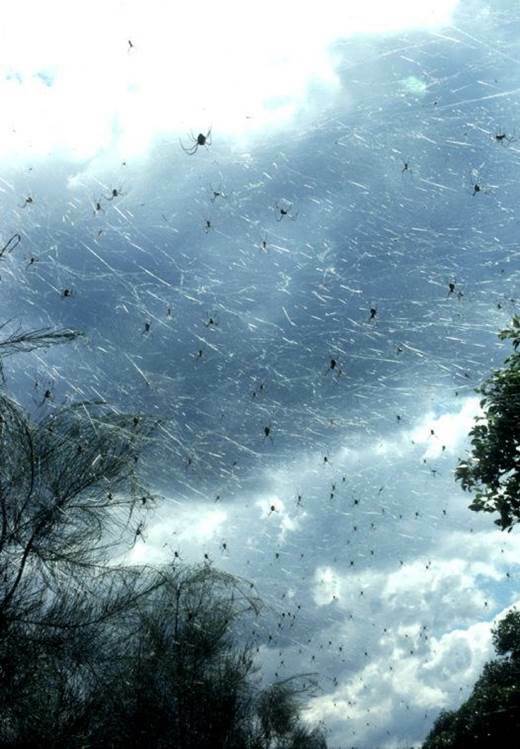 The spiders had apparently rained down from the sky, silken thread and all, a phenomenon known as "Angel Rain".